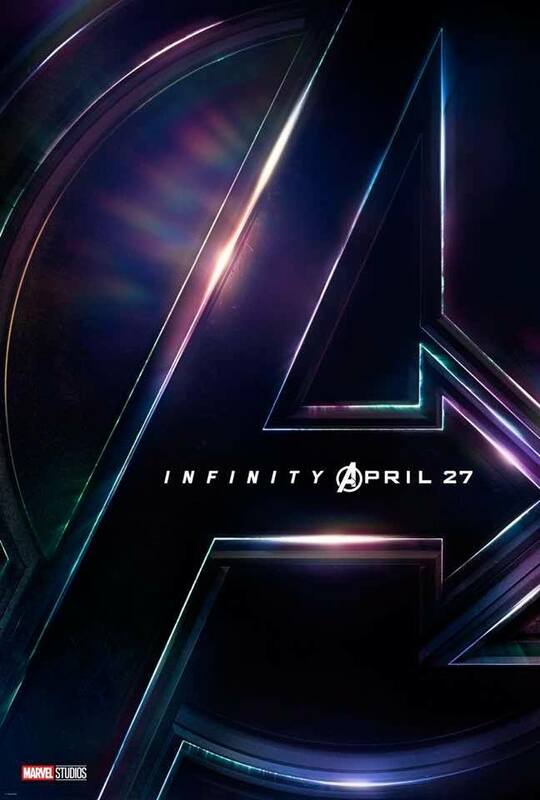 If you are a Marvel movie fan like I am, you are anxiously awaiting April 27. That’s the day INFINITY WAR opens worldwide. So what are we supposed to do in the meantime? I’ve got the answer. Take a look at the movies to watch before INFINITY WAR. Ten years in the making, this road to INFINITY WAR has been full of amazing movies. 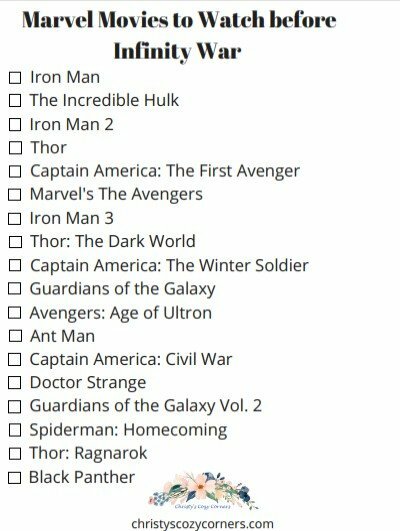 Here is a printable checklist of movies to watch before INFINITY WAR. If you watch one movie a week, you’ll be all set for April 27. I’m going to watch them all again even though I just did this past summer. You can never watch Marvel movies too many times! I’m going to try to post a movie a week too, but you know sometimes the best laid plans become waylaid! This is the order of Marvel movies to watch before INFINITY WAR in order to be caught up in time. Yes, I know there are all sorts of “correct order” lists out there for Marvel movies, but I’m sticking to the cinematic release order. I’ve shared this before (and I’ve probably watched it way too many times…), but if you haven’t seen it yet, here it is again! I LOVE IT! I cannot wait to see this movie! This road to INFINITY WAR has been amazing! Get the latest Marvel news on their website. Looks like I have some watching to do! Good thing I just got unlimited internet (but don’t tell the kids). I watched them all before Thor: Ragnorok, but I’m up for another rewatch! We were just talking about Black Panther last night. Can’t wait for both of them! We did that this summer too! I never get tired of them. The more I see of Black Panther, the more I can’t wait!